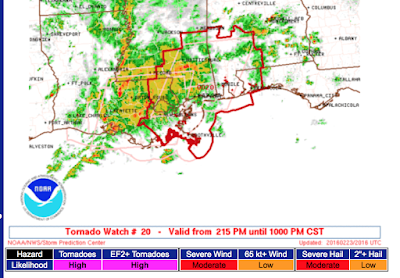 MSE Creative Consulting Blog: "Particularly Dangerous Situation" Tornado Watch! These are rare -- only one of these was issued in all of 2015. 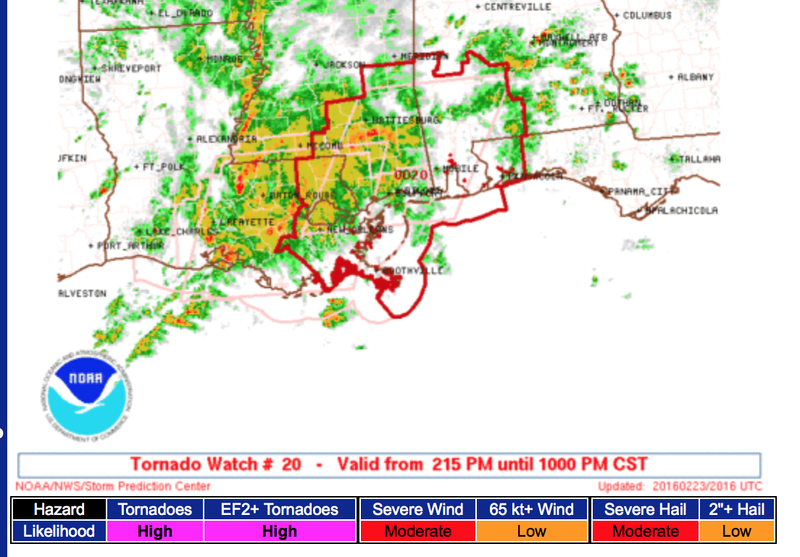 A particularly dangerous situation (PDS) tornado watch is issued when there is a "high" likelihood of strong tornadoes. I urge you to prepare your family, friends and relatives for the possible of taking shelter if a tornado warning is issued or if the situation appears threatening in your area.